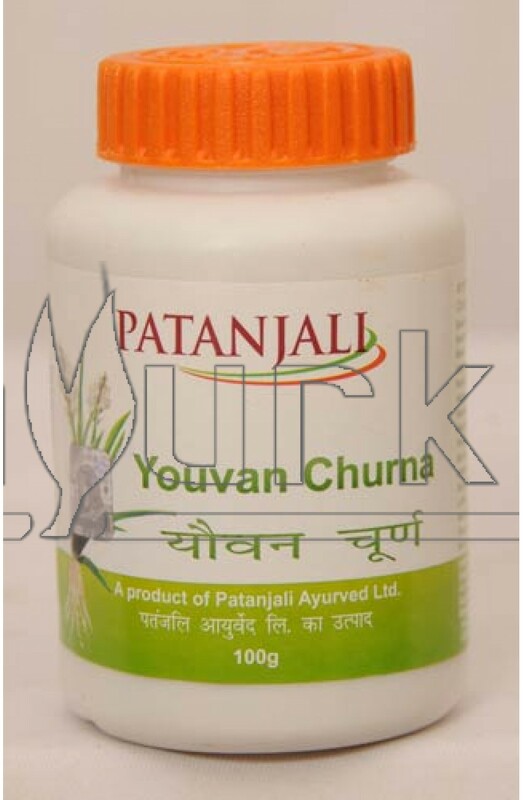 Youvan churna from Patanjali is an Ayurvedic medicine prepared by different herbs that have anti-ageing, anti-oxidant and immunity boosting properties. As the name suggests, Youvan Churna is anti-ageing in nature, keeping the mind and body healthy. It prevents premature ageing and improves immunity. Youvan Churna provides strength to the body and increase sperm count. People suffering from general fatigue must use it for rejuvenation of body. It is also useful for strengthening one’s stamina and promoting libido. Circulation of blood to and from various parts of the body is improved in a big way. 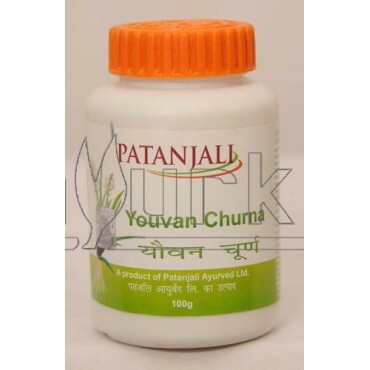 Patanjali Youvan Churna is highly beneficial for general debility, weakness and sexual weakness. Direction of Use: Take half - one teaspoon of youvan churna two times a day with warm milk or as directed by physician. Packing: Patanjali Youvan churna is available in packing of 100gm. Caution: Not recommended for diabetic person.